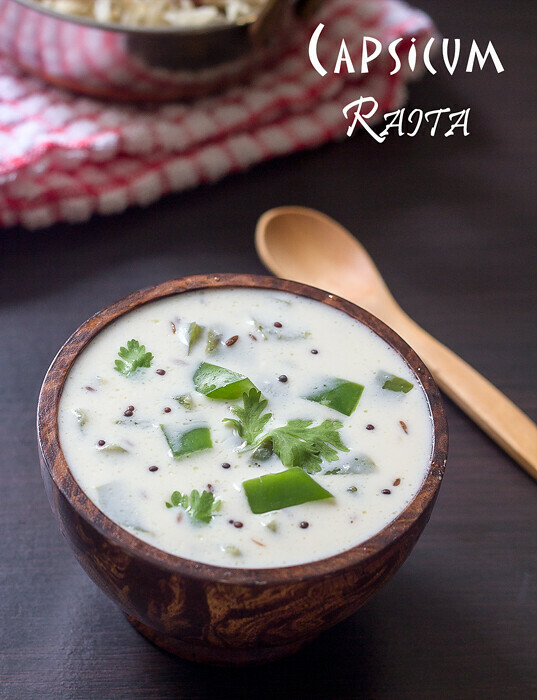 As I mentioned in my Cucumber Lassi, I tasted Capsicum Raita recipe also in the same Party. 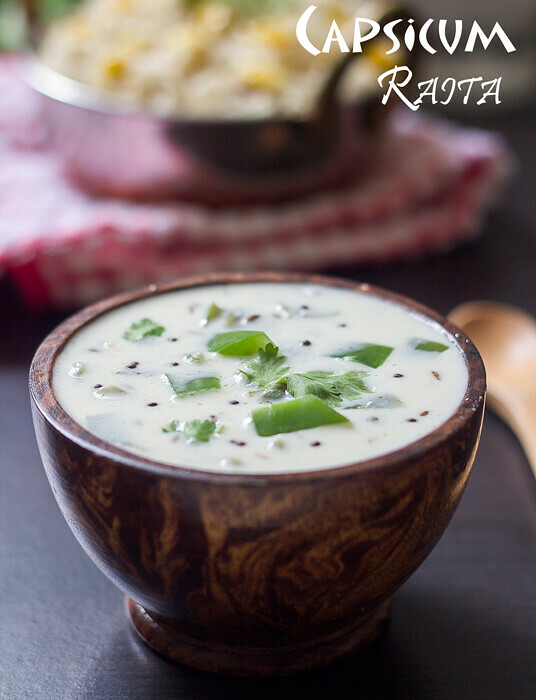 I loved the raita because of the capsicum crunchiness, it’s simplicity and it’s taste. 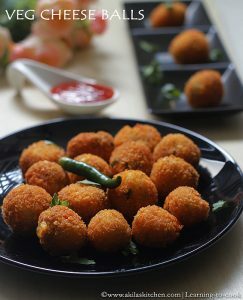 I tried this on the next Saturday itself and paired it with Sweet corn Pulao. Though I liked the combination my mom complained raita could have been better with more spicier dishes like chicken Biryani or egg Briyani. 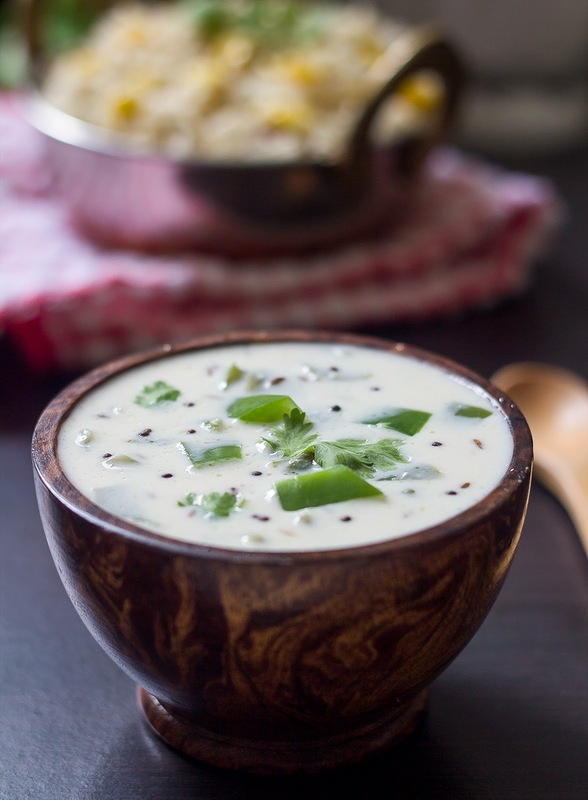 Will try this Capsicum Raita again with spicy meal. 1. Beat the yogurt nicely and keep aside. Cut the capsicum into small pieces. In a pan, add oil and when it is hot, add the mustard seeds and cumin seeds. When the mustard seeds splutters, add the capsicum. 2. Fry the capsicum adding required salt for 4 to 5 min. Take care that, little crunchiness remains in the capsicum, else, it will be very soft. Transfer this to the yogurt and mix well. 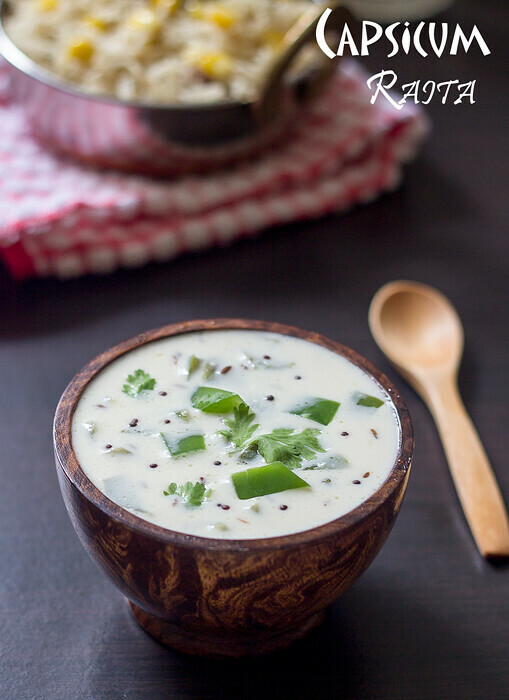 Crunchy capsicum raita is ready to be served with any pulao or biryani. 1. You can sprinkle some cumin powder or chat masala for more taste. 2. Take care to make the bell peppers to be crunchier while frying. This is an unusual raita. Would definitely go well with a pulao or biryani.